After almost three millenia of peace, chaos has once again returned to the three worlds. The destructive battles between the Arrancar, Shinigami, and Human races has brought about an unbalancing in the spiritual power that keeps the worlds stable. As this huge mass of spiritual energy becomes more and more unbalanced, beings that have been lying in wait are slowly making their moves. As the players in the former Great Spiritual War one by one join the fray, a conflict the likes the universe has never seen will tear a new path to the future. After biding their time in their seals, the defeated finally get a second chance to become the new conquerors of all three worlds. However, the current races will not allow the Elder Races to go about as they please. As alliances are made, deals are sealed, and bonds are shattered, the future of the races shall never be the same. 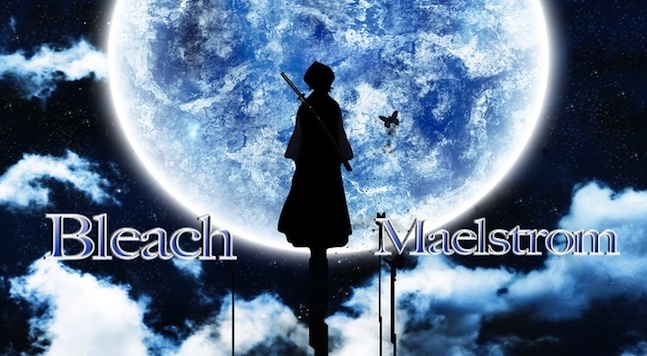 A plot based site in an alternate universe, Bleach Maelstrom is there for all of your Bleach RP needs. Each member has their own part to play in shaping the future of the plot and the site as a whole. Bleach Maelstrom is run by a diligent staff who will be there for all of the staff's needs. We are there to help out the members with everything from character creation to basic RP skills. With a focus on writing skill and a wish to help as many people as possible, the staff is there to make a tight nit community that is fair and helpful to everyone involved. If you are still interested, then come on down. We are accepting people for all races and all levels of roleplay experience. So come on down to Bleach Maelstrom!